But when, back in the park, things turn ugly - very ugly - her friends come to find her and beg for her help. With the park on fire, can Sophie unify them all again and bring peace? What if she fails? Sophie Topfeather, Superstar! by Anderson, Sonja was published by Sunpenny Limited in November 2016. The ISBN for Sophie Topfeather, Superstar! is 9781909278516. 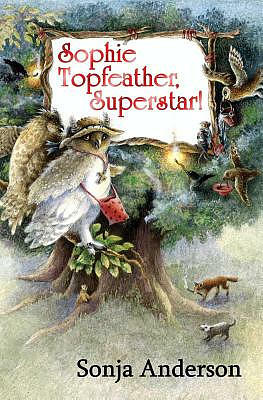 Reviews of Sophie Topfeather, Superstar! Be the first to review Sophie Topfeather, Superstar!! Got a question? No problem! Just click here to ask us about Sophie Topfeather, Superstar!. Details for Sophie Topfeather, Superstar!